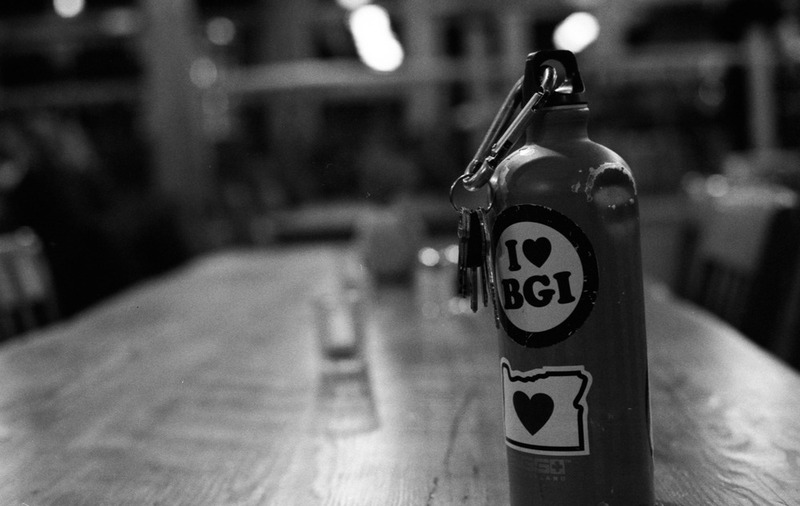 It's always good to visit BGI Intensives at Islandwood, especially now that I'm finished with the studying part. The past two months I spent one day on the Islandwood campus for either Alumni Weekend or for a photo shoot I was doing. After being away for some time, it's even easier for me to remember why this is such a special place with such special people. All images below were created with the Leica M6 loaded with Ilford Delta 400 film, shot at ASA 1600, and developed in Ilford DD-X. Former mascot Beth Robinette still takes command of a room. She's also up to some really innovative farming and training people around the nation. I got to sit in on a management class. After continuing with business consulting, I now have a new perspective when looking on. Two of my favorite people at BGI. Both will be graduating this year. Aric Ho (left) is supposed to be my menthe, but I think he's been one of my greatest sources of inspiration. Amanda Thornton is one of the warmest, deepest, and thoughtful people I've ever met. I love the insights she's able to provide. For over two years now, I've been witness to this wonderful team. They always bring an extremely positive energy into the space, and take much care in their preparation of the food, the treatment of the environment, and the treatment of each other. I'm most appreciative to this crew for not only keeping us nourished physically, but emotionally and spiritually as well.